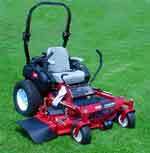 Toro Z Master Z500 Series became the talk of the industry when it set a new standard for cutting performance and reliability. Across the line, Z Master mowers are designed to handle the demanding conditions of the landscape professional, and to deliver an immaculate after-cut appearance that can't be beat. The full-size Toro Z Master Z500 ZRT that introduced the condition adaptive TURBO FORCE® deck and set a new standard for both performance and reliability. 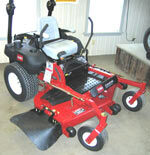 Delivers a pristine after-cut appearance, backed by an ultra-durable deck, spindles, and blades. High-capacity TURBO FORCE decks deliver unsurpassed strength, a superior cut, and increased productivity in extreme mowing conditions. Equipped with a patent-pending adjustable baffle, TURBO FORCE decks can be fine-tuned in order to conquer changing turf conditions. Productivity, reliability and outstanding after-cut apprearance all come together unlike anything in its class. Whether you're a turf care professional, or just want to mow like one, the Z Master Z400 Series has just the right model to meet your compact ZRT needs. A combination of cut, quality and price. 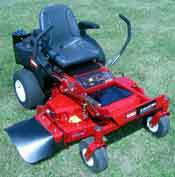 Compact and maneuverable, this is a great machine for the estate owner who wants to step-up to faster, more sophisticated equipment that delivers a superior looking cut. Quality features for outstanding value. 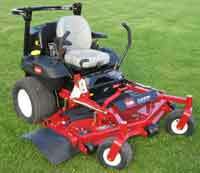 Loaded with features that professionals value most, including Toro's industry acclaimed TURBO FORCE® cutting decks. Ideal for productivity-minded, value-conscience professionals. Premium features and maximum performance. The powerhouse compact ZRT. PRO Performance models possess all the great features of the PRO Value models, plus more horsepower and a two-stage canister air cleaner. PRO Performance models are equipped to handle extreme side discharge, mulching and bagging conditions.